With rise in the number of cars on the roads everyday, someone has to come up with a solution to keep the traffic going. While the world in busy building bridges and fly-overs to control the traffic, Honda has a different approach towards keeping the lane clear. The Japanese auto-giant has modified the traditional sat-nav system to extract real-time traffic congestion information and suggest alternative routes with clear traffic to commuters. This innovative technology is said to be capable of identifying the possibility of a traffic jam because of a person’s driving. It then reroutes the driver to a more clear and traffic-free path to the destination. What comes as a surprise is that the traffic jams are not always caused by accidents or lane closures. 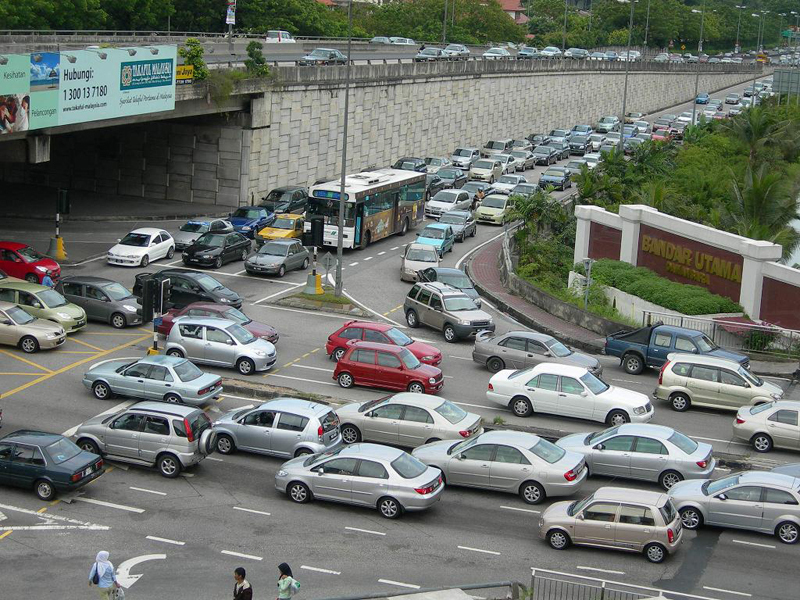 A research on traffic jams, conducted in 2007 by the University of Exeter revealed that accidents or road blocks are not always the reason for major traffic jams. Instead, the jam is caused by a ‘backward traveling wave’ that is triggered by the slowing down of front row cars. This causes the following row of cars to slow down more and the chain continues until the traffic comes to a complete halt. This phenomenon is known as ‘accordion effect’. 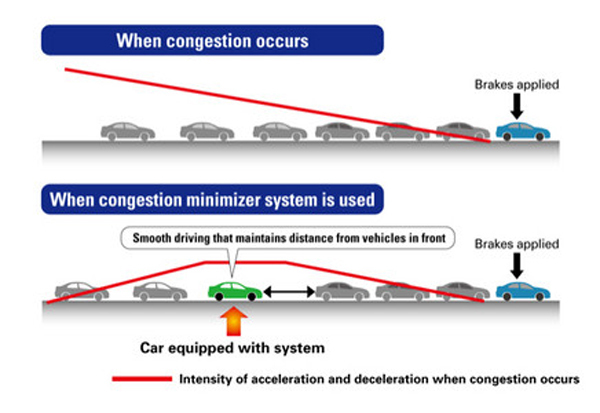 Honda pioneered this technology, which can detect the possibility of a traffic jam due to one’s lopsided driving pattern. The system can detect irregular acceleration and braking by a driver and guide him/her through a color-coded display for a smoother driving. According to Honda Motors, this navigation system can be linked to sat-nav and ECU, which work together with Adaptive Cruise Control (AAC) to sync the car’s driving pattern to the car ahead of it and maintain a constant distance between the vehicles. This is the first of its kind technology, pioneered by Honda in collaboration with Tokyo University’s Research Centre for Advanced Science Technology. According to reports, the test was conducted with the ACC system activated, but the sat-nav was not combined. However, the results were astonishing with the speed of the cars increasing by nearly 7 per cent and the fuel efficiency of the following cars in the traffic improved by nearly 3 per cent. Honda also announced that with the cloud computing working in conjugation with the AAC, speed is expected to improve by 23 per cent, while the fuel-efficiency figure will improve by 8 per cent. However, this has a long way to go, and the Japanese auto-giant will begin testing by May in Italy before taking it to Indonesia later in June.